The Volon 'Chateau Edge' bag is a striking colourblock design with a structured, boxy shape inspired by the brand's furniture heritage. Made from mix of goat and cow leather, the small shoulder bag combines hues of pink, green, blue and yellow to create an eye-catching colour palette, and features a magnetic front flap. 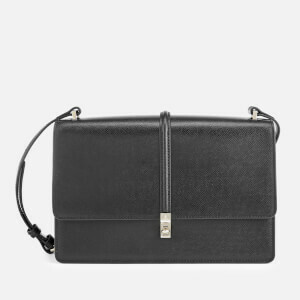 Within, the fabric-lined interior is split into three internal compartments: two magdot-secured sections and a central compartment with hardware, barbell-shaped clasp and additional slip pocket. 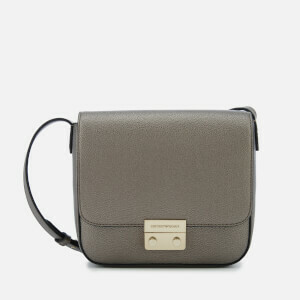 The structured bag is finished with silver tone hardware and a slim leather shoulder strap. Branding to the base. Arrives with a branded dust bag. Dimensions: H: 15cm x W: 21.5cm x D: 8cm. Strap Drop: 48cm.